Last September, as Detroit residents were still in the midst of 80-degree summer weather, the city's water department went to court. Its issue was the 27,000-some customers who were getting Detroit water but weren't paying their bills. As of March 2014, the Detroit Water and Sewerage Department (DWSD) was missing about $175 million in water payments, almost $100,000 of that from residential customers who had lost their jobs or couldn't afford the hefty water bill last summer. Residents were already paying an average of $64 per month water access. With an 8.7 percent increase in June, many unemployed residents and individuals on Social Security Income checks couldn't afford water for cooking, washing and basic needs. With the city's bankruptcy the year before, much of DWSD's extensive coverage area was now being consolidated into a new company, the Great Lakes Water Authority, which would assume water services for the city's suburbs. That left the city of Detroit's old water system to manage its bills with a smaller customer count, much of which was represented by low-income neighborhoods hit hard by layoffs and other financial problems from the recent recession. DWSD's trip to bankruptcy court on Sept. 29 made worldwide news after U.S. Bankruptcy Judge Steven Rhodes refused a request for a temporary moratorium on the water shut-offs that the department had initiated in June. "There is no such right or law," said Rhodes, disagreeing with a United Nations declaration that "water is a fundamental right." By November, DWSD had disconnected more than 30,000 accounts, with the highest monthly number (7,200) occurring in June, when the hot weather was ramping up, in a city that has an average of 50 heat-related deaths per year. The crisis has prompted outrage across the country, protests on city streets and water shipments from concerned Canadians on the other side of the border. 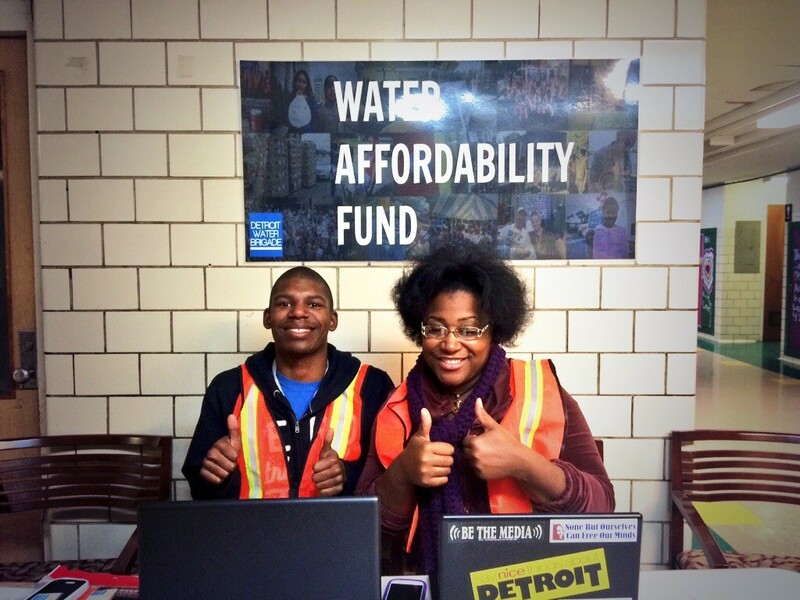 It also inspired an ingenious, if not simplistic, response: Let Detroiters help other Detroiters get water. Detroit Water Brigade, which began in June 2014 at the start of the shutoffs, is designed to do just that. 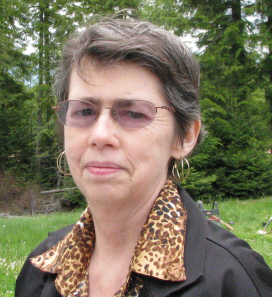 According to the organization's website, it was kicked into motion when one of its co-founders, Danny McGlashing, founder of Occupy Sandy, wrote a proposal for a temporary citizen-led initiative to provide "[interim] water relief for residents in single family homes and apartment/condo units who’re experiencing water shutoffs." Along with other activists and artists that include Justin Wedes (who founded the Paul Robeson Freedom School) and Boston Radio personality Rodney Deas (Radio Rahim), McGlashing instigated a movement to provide water to those who couldn't afford to pay their looming water bills and had been shut off. The project could have easily remained small, limited to a few dozen neighborhood blocks, but it didn't. It mushroomed, propelled by the burgeoning number of households that were now without water. According to Wedes, the Brigade quickly realized that handing out containers of tap water on a daily or weekly basis wasn't the answer. People needed ways to survive and to increase their independence. In addition creating a means to stockpile drinking water for hot weather and general population needs, the brigade came up with collection systems by which people could collect rainwater and purify it for drinking purposes, as well as an emergency fund to help people reinstate their access to water. "The DWB continues to provide emergency water deliveries to families across Detroit," said Wedes in a recent interview. "We've also implemented a financial assistance program, called the Water Affordability Fund, for families to get help paying their water bills to restore access. Before winter set in, the Brigade had also started a collection of cold weather gear to ensure that those left without hot water or power would have one more layer to protect them from Detroit's icy winters. And they started the groundwork toward creating an "sustainable eco-village," called Avalon Village, that would include its own rainwater collection system. "The eco-village will model alternative water collection, retention and sewerage systems that we hope will inspire changes in the way municipalities deal with water," he said. Wedes, who is best known for his work with the Occupy Wall Street movement, admits that there are still significant hurdles to overcome. "The winter has brought its own new challenges: Families that can't afford gas have their heat cut, and the water shutoffs continue. Also fires are more prevalent in the winter, as people who are heating their home with ad hoc methods inadvertently start fires." But the groundwork seems to be paying off. There are now more than 20 different water collection hubs in Detroit, backed by a network of hundreds of volunteers and organizations of all backgrounds. "We have partnered with many organizations, including Auntie Na's Community Center, the House of Help Community Center, several churches [and] synagogues, Wayne State student groups, and the Universities of Michigan, Bowling Green State, Central Michigan and Eastern Michigan," Wedes said. And the initiative has continued to gain international support. In November, Detroit Water Brigade activists flew to Dublin, Ireland, another city hit by water accessibility issues, to take part in water protests. Icy weather has slowed down some of the shutoffs, but the group expects the process to continue on, adding even more need to a finely-tuned network of volunteers who can help get water and supplies to those in need. Wedes says they're now up to 500 volunteers who expect to be out in force as the weather continues to warm. Which it is expected to do. The Detroit Climate Action Collaborative says Detroit temps are on the way up, and have been increasing since at least 1959. It looks like the Detroit Water Brigade may very well be needed next summer if the city isn't able to solve its economic and humanitarian challenges.